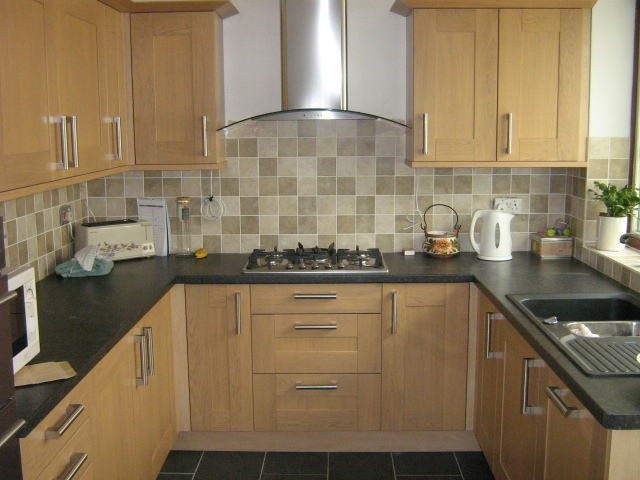 At the forefront of our service agenda is our Fully Insured Kitchen Fitting Service. We can offer you a Full Kitchen Installation, whether you have extended your house to enjoy a new larger kitchen, want to replace your existing kitchen and need a new kitchen from scratch or you want to simply update your existing kitchen we can help to accommodate your every need. 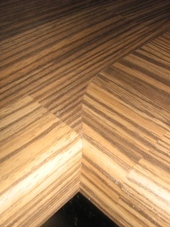 We specialise in Mitred Worktop Joints (Mason's Mitre) improving the look of your new worktops. We use professional tools and a new cutting blade for every new worktop leaving you with a clean, crisp watertight joint. Our Kitchen updating service can include fitting of new worktops, doors, plinths, cornice and pelmets or addition of new cupboards. Or maybe you would like to replace your existing sink with new, update your washing machine, dishwasher or fridge freezer to an integrated unit. We specialise in fitting all makes of Kitchens including B&Q, Homebase, Wickes, Magnet, Howdens, Hacker, Nobilia, Moben and Crown to name but a few. We offer all our customers a free quotation service. We make an appointment with you at your convenience to visit you at your home to discuss in more detail your requirements and help you with ideas, designs, plans and measurements. Please Contact Us to arrange a home visit for a Free Estimate. Our Worktop Replacement service offers you a professional installation of Laminate worktops, Real wood worktops, solid surface worktops like Maia and Earthstone work surfaces. Laminate worktops - As a standard service all our laminate worktop installations you will benefit from the increasingly popular Mitred Worktop Joint (Mason's Mitre), both improving the look of your new laminate worktops and providing a clean and hygienic solution to the much frowned at jointing strip! Real wood work surfaces - We provide a real wood work surface installation, giving you a real sense of style and an earthy feel to you kitchen. The installation process will be discussed with you as real wood worktops require a little more TLC than laminate worktops. We have installed Oak, Beech, Wenge and Bamboo to date and welcome any newbie's to the list. Solid surface worktops - We can also offer you an affordable installation of solid surface worktops like Maia or Earthstone. With our knowledge and professional tooling we can transform these worktops into a one piece seamless surface with beautifully crafted near undetectable joints. All our worktop installations are carried out to the highest standards with professional tooling and the guarantee that for every new worktop installation at least one new cutting blade will be used from the very start leaving you with a clean and crisp worktop joints. Our ongoing efforts to produce the highest quality of workmanship in all our work can be seen through our Customers Testimonials and our Photo Gallery. We take great pride in our work and aim to surpass all of our customers expectations. Kitchen Supply - We offer a very competitive Supply and Fit Kitchen Service. Our kitchens are sourced through Howdens Joinery and are supplied as pre-assembled carcasses saving you costs on carcass assembly. We can arrange for a Howdens brochure to be sent to you or you can visit the Howdens Joinery's website at www.howdens.com to look at the latest kitchen styles and colours. Howden's are a Trade only supplier so please feel free to Contact Us to arrange a free Kitchen quotation. Worktops - We can offer you a Supply and Fit service on Laminate work surfaces. As prices vary for different styles, lengths, depths, manufacturers and quality we arrange a visit with yourself to discuss your needs and arrange a free quote for you. Please click here to view photos of recently Fitted Kitchens and Worktops in our Gallery. We can also offer a variety of carpentry works including Fitted Wardrobes, Laminate Flooring, Wooden Flooring, New Skirting and Architrave, New Fencing, Hanging New Doors and Bespoke Cupboards to name but a few. Please visit our Carpentry photo gallery for examples of our work. If you have something specific in mind please do not hesitate to Contact Us we will happily try to accommodate your requirements, don't be afraid to ask as we will always try our very best to meet your expectations.